A baby’s Christmas list and letter to Santa. 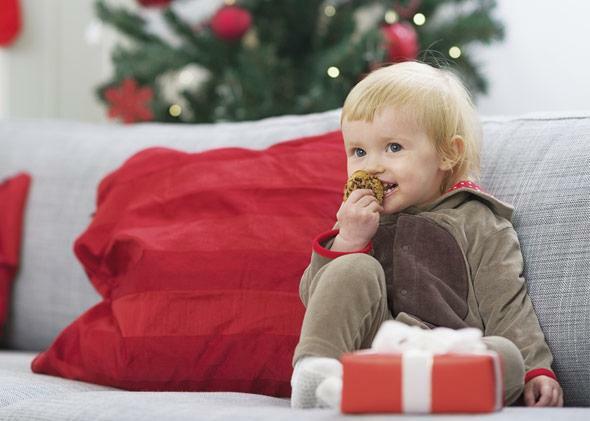 Dear Santa: Here is everything this adorable baby wants to unwrap and put in his adorable mouth. I’ll eat this cookie, but I’d rather have your keys. This article originally appeared on The Ugly Volvo. I am a 10-month-old baby, and I write because my mother has been sending out my Christmas list to people, and her list does not in any way represent the things I really want. I could give two s#*ts about receiving stacking cups. And I know you’re ready to make the joke about 10-month-old babies and how all we want is the wrapping paper and the boxes. Touché, Santa. Touché. We do, of course, want those things. But I have a number of additional things I want very badly. I want this laptop cord more than I have ever wanted anything. Please. 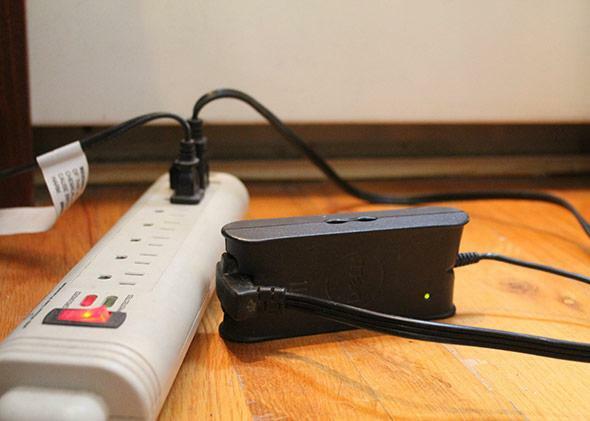 I also want the power strip with the orange on/off button and the white label on the other cord pictured (the one not connected to the laptop). I would be OK with just a bunch of electrical cords in general, but I would really love these specific ones that are located behind my mother’s desk next to the air-conditioner (whose cord I also want). I have no idea why my mother does not want me to play with this thing, as it is obviously a child’s toy. I would like one for my room. I would love a set of house keys. To eat, obviously. Only metal house keys will do. Please do not buy me plastic ones. I am not an idiot. I know that plastic house keys are not real keys. I pull these off the face of every person I meet, only to have them pried from my fingers and reclaimed by their original owners. I would love a pair of my own. Again, these are going to be for eating. I would love for the contents of this thing to be emptied out onto the floor—particularly things like used, wet cotton balls and discarded pieces of floss. If you would like to just take the contents of this bin and transfer it directly into my stocking, that would also be fine. This stuff is the best. I keep trying to pull it off, but she moves frequently, making collection difficult. My favorite thing to do with it is put it in my mouth and then immediately realize that I didn’t want it in my mouth. Such a strange existential dilemma. I spend hours looking at this hole and poking at it with my fingers. I know that I cannot “have” a hole, as a hole is not a thing that can be had. A hole is an absence. And yet this is supposed to be a list of the things I want, and I want this hole in the hardwood floor the way Gandhi wanted peace. The way the dog wants to lick my face. The way my mother wants me to stop pulling off her eyeglasses. Every time I get close to this, someone pulls me away. If they don’t want me to eat it, why is it on the floor? No idea what these do, but it’s clearly a lot of fun, given that my mother never stops looking at it. These are my favorite! If I had a nickel for every bobby pin I found on the floor, I’d have double the number of little metal things I could put in my mouth because, go figure, I also totally love nickels.